I associate the word "balm" with a rich texture. I ordered this hoping it would be a true balm, but alas, it's merely a lightweight cream that doesn't moisturize even with two layers. Epionce Renewal Eye Cream is a far better eye cream, though I hate the pump dispenser and prefer a jar I will go back to a tried and true. 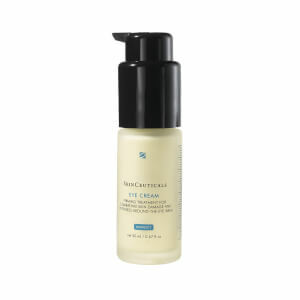 The absolute first thing an eye cream must do for me is moisturize to soften the look of fine lines and wrinkles. No matter what other benefit an eye cream claims, or whether it delivers on those claims, moisturizing is job #1 for me. This cream is light and almost fluffy. Even after putting on several layers over time, it does not seem to moisturize. The word "balm" in the name indicated a richer, more dense product to me, but this product seems very, very "light" in texture and results. The product also has "rehabilitative emollient for ageing skin" on the jar. I am very disappointed in this product. I have extreme eye sensitivity to eye creams. After reading reviews I decided to try it and thought I would be returning it. Wrong. This cream is so gentle and very moisturizing. I think it actually fights inflammation around my eyes. My eyes do not water from it either. I have spent so much money on eye creams and am happy I finally found one that works. It is pricey but so far it looks like it will last a very long time. A dermatologist recommended this eye balm to me due to constant flaking below my lower lid. After using this daily for a little over a week, my dryness subsided. I also dab a small amount under my eye prior to using a corrector for dark circles...amazing results. A wee bit pricey but well worth it. One jar lasts me for several months. So far I have been very pleased with this product. It absorbs quickly with no greasy residue and feels really smooth going on. I have extremely sensitive skin and this is the only eye cream I have found that does not irritate my eyes. I absolutely love it! Cream looked fine when I opened it but as soon as I put my finger in the jar to use it, a liquid came up. I had to use a Q-tip to mix it up. I assumed all its elements got separated but after this I HAVE NOT SEE any results and I have to keep mixing the cream !! 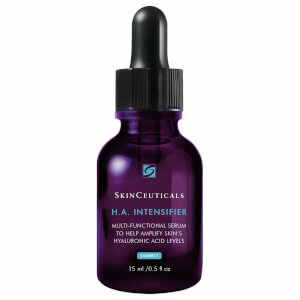 I have used SkinCeutical products before and am always very pleased with the results. This eye cream, however, was a disappointment. I found it went on very rich, but as soon as it was absorbed, I found the under eye area to be too dry to apply my concealer! I had to apply another under eye cream on top of this to give me the moisture needed.If you have deep set eyes and need to use concealer, I would not recommend this product. I am 58 with very sensitive skin to many products. This is the only eye cream that I've been able to use and I love the results. I've had friends comment that I have no under eye bagsor puffiness..if I would skip using one day they'd be very noticeable.I use morning and night and could not live without this wonderful eye cream.Gentle and effective! A little goes a long way. Thankful to have! This seems to be a good eye cream,..works well on puffiness, brightening eye area,.too soon to tell about firmness & fine lines. I would have given it 5 stars except it burns my eyes a little. don't know why because it says it's gentle,..but when I put it around my eyes, they tear a little. Hopefully my eyes will get accustomed to it,.because I don't want to return it.